Sizzling backyard barbecues, the aromas of a roast dinner and that first pop of a Christmas cracker… There’s nothing that excites us here at Ezibuy as much as a summer Christmas! It’s a fantastic excuse to spend time with family, friends and infectiously excited kids. However, we all tend to get overwhelmed with the admin of shopping and organising everything leading up to it. The secret is to make Christmas shopping as painless and streamlined as possible. So we’ve done our best to make that happen by providing a range of everything you need, from decorations and Christmas trees, to serving-ware and gifts for practically every personality! Let the gift of giving begin! Carry the Christmas spirit throughout every inch of your home with effortless festive decorations. Not only is Christmas décor a way to amp up the holiday mood, but it’s a fun tradition that the whole family can enjoy. Kids just love being able to hang their own baubles and decorations on the tree. We have both traditional glass ornaments and a whole bunch of ultra-cute felt animals in festive attire, as well as plenty of options for the tree itself! It can be hard to find the perfect gift for the man in your life – they don’t always tend to be so expressive with their wishes, do they? Sometimes the best and easiest gifts are the most unique. Our trendy Gentlemen’s Hardware range oozes old-school class and could be just what you’re after! Their gifts are practical as well as stylish, and include everything from everyday tools to grooming accessories – even a portable BBQ grill. For the self-made master chef, we’ve got an assortment of spices, meat rubs and cooking tools like the super-cool Kitchencraft Fish Scaler. Decorating the dinner or lunch table really makes the occasion that extra bit special and intimate. 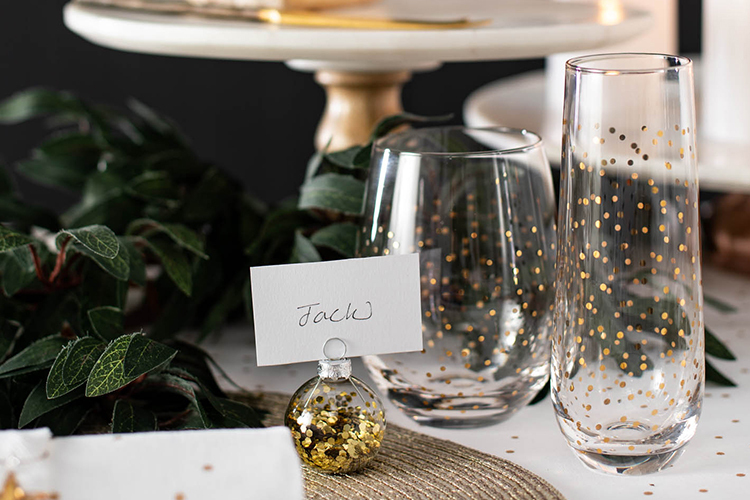 Your Christmas dinners or parties will be spoken about for years to come with stylish and sophisticated table décor that inspires Christmas spirit. Graceful, foiled glassware and marble serving boards look even more stunning paired with a light-up garland and our crisp and classic table linens. One of our newest brands has us brimming with excitement – Mad Millies. A young Kiwi company that creates an amazing range of do-it-yourself handcrafted food kits. Letting you become an artisan chef from the comfort of your own home. These comprehensive kits include the majority of the special tools and ingredients needed to create your own delish cheeses, yoghurts and to even craft your own gin! They’re so versatile – give them as a gift or keep them for yourself for entertaining. Amidst all the commotion and stress, it’s easy to forget Christmas is about quality time spent with family and friends. Bring everyone together around one of Ridleys extra-cool, fun and laughter-inducing board games like the Movie Buff Quiz or Classic Charades, or spend the afternoon after Xmas lunch in the backyard sun with family-friendly outdoor games. We’ll be winding down with the adults in the evening with a bottle of wine and the Metallic Poker Set.